Shows Ask/Bid price and Spread in chart window. Highly configurable. Miguel Angel Vico Alba. CEO at Pathfinder Systems. IT Engineer and Freelance Trader. Developer of Technical Indicators, Expert Advisors and Scripts for MetaTrader. 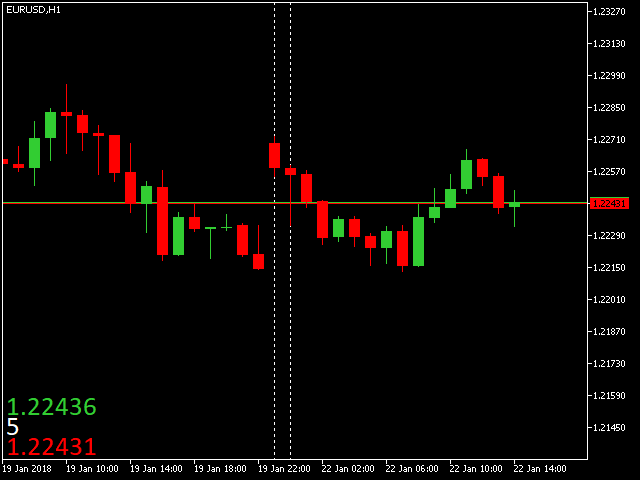 I think the indicator works well, it runs without problems and can be placed well on the chart locally.